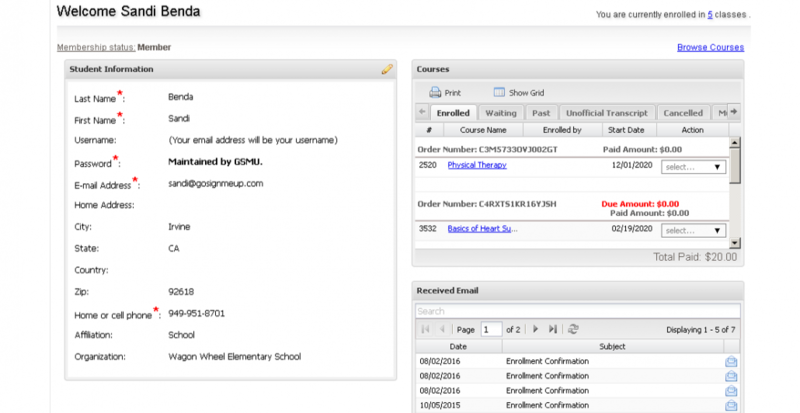 GoSignMeUp online class registration and management software does more than deliver a perfect venue for students to sign-up for courses. 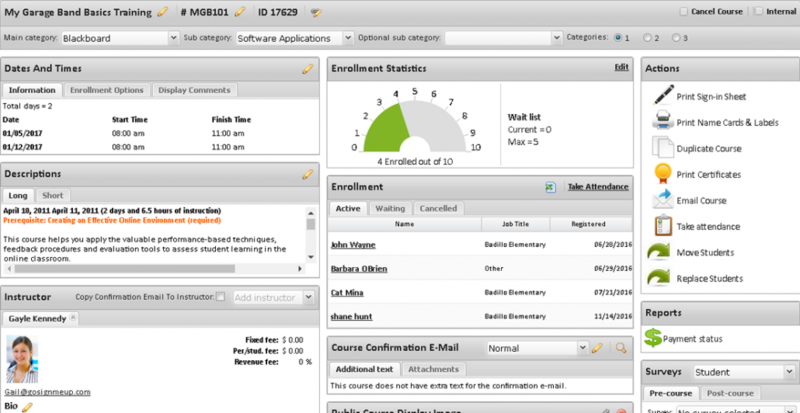 Enrollment statistics are at your fingertips in real time. 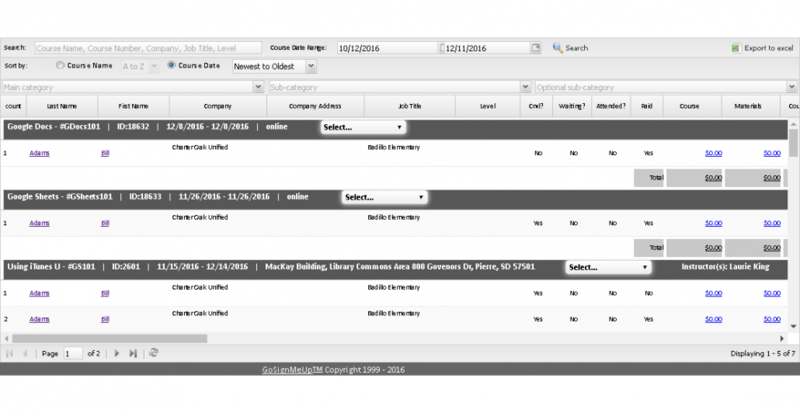 Allows you to quickly find and sort through your class database providing customizable data that can include enrollment statistics past, present and future classes, income, available seats and much more. 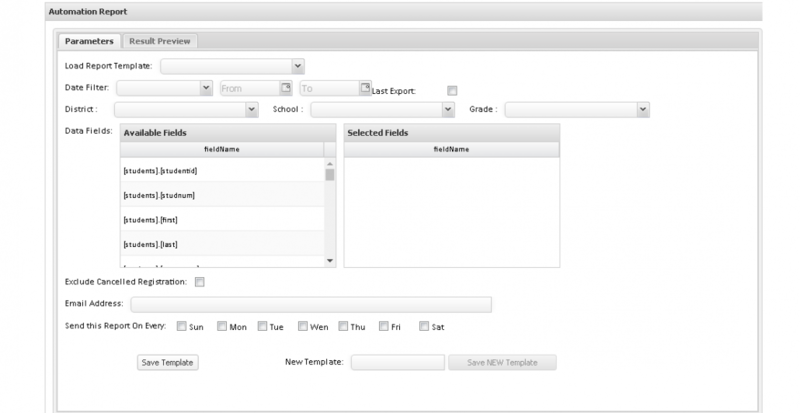 Provides student data in each class that includes canceled classes, completed classes, and the final grade. 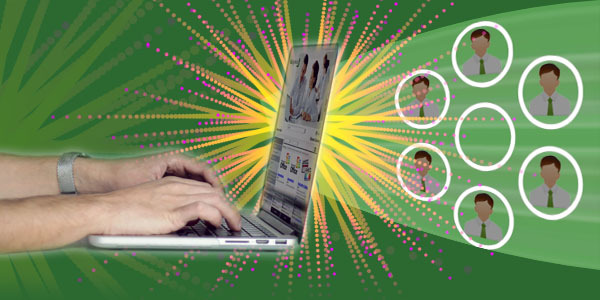 Customized demographic data can be included in this report for further analysis. 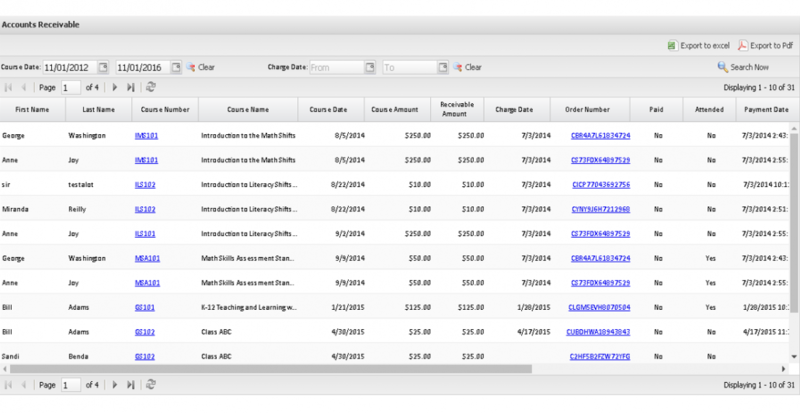 Classes can be filtered by date, category, and much more. 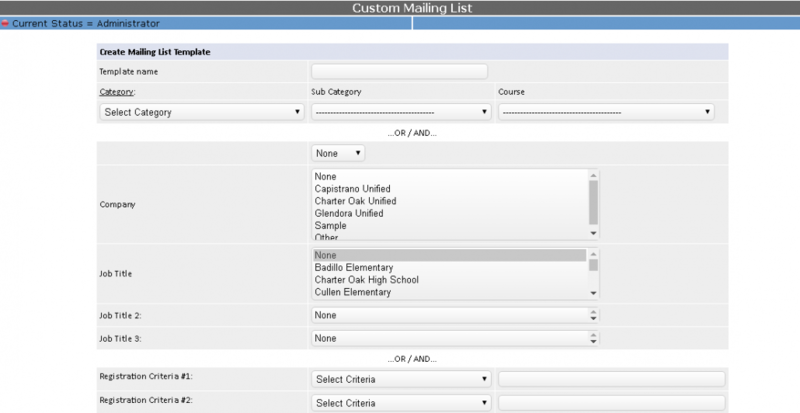 Customizable student demographics and be included. The sign-in sheet can include your organizational branding. 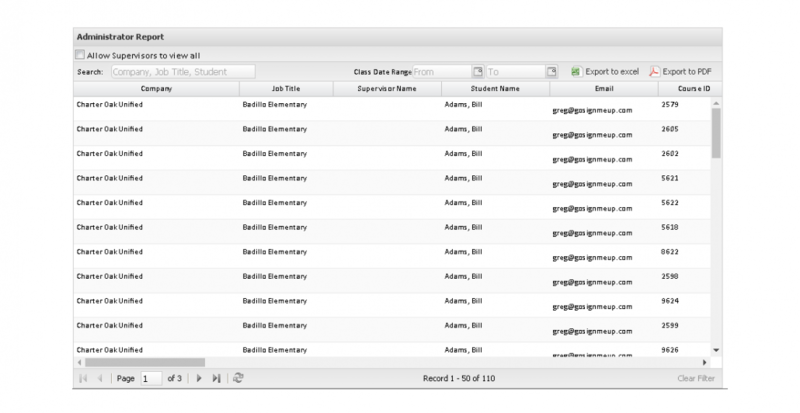 The class roster can be exported into Excel. 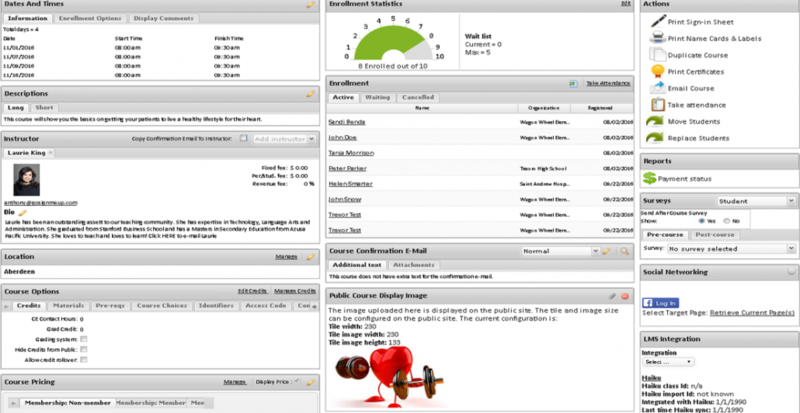 Get a real-time accounting of every class you currently have running on the system. 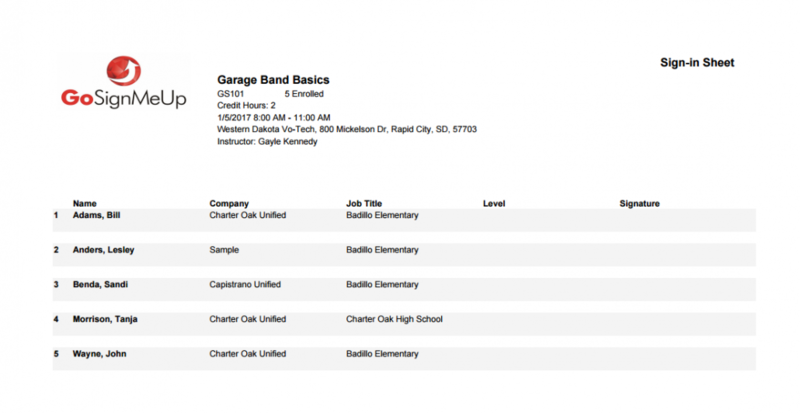 You can run this on a routine and emailed directly to you on a schedule showing class enrollment size. This provides course data on each student that incudes enrollment status, completed and canceled classes, final grade, class dates, and student demographics. 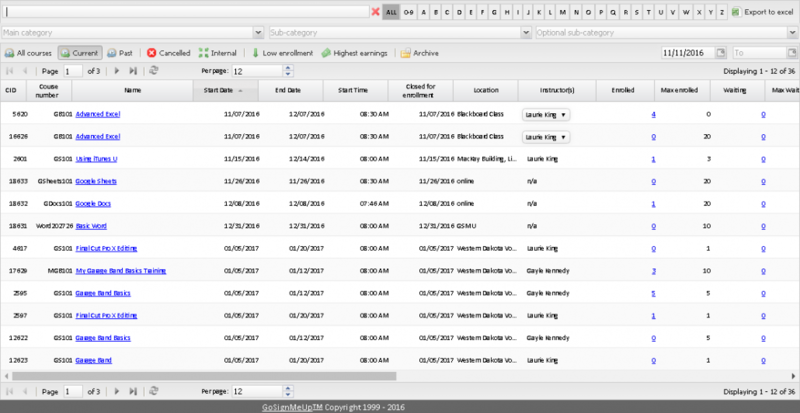 The report can be filtered by groups (such as organization), students, date range and much more. The number of completed and not completed class are displayed for each student. 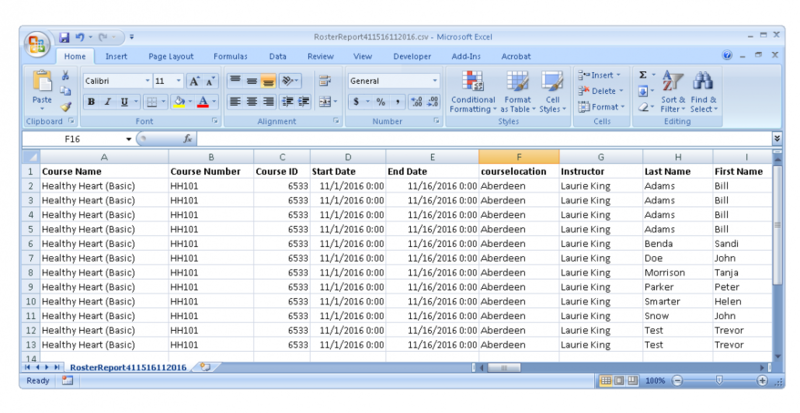 Individual student transcripts can be printed as a PDF for exported into Excel. 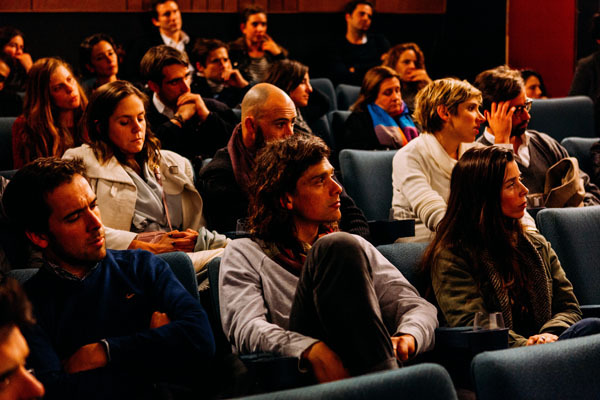 This can be filtered by class dates and categories and included those that attended and not attended. Promote future classes based on demographics and/or class history. 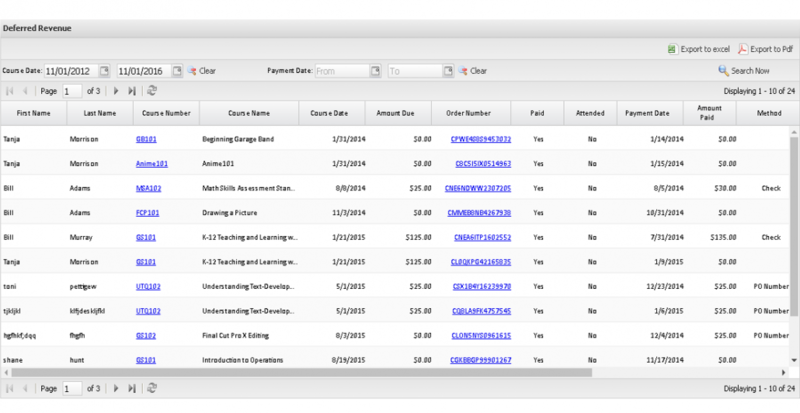 Students can view classes they have enrolled in as well as completed or transcripted courses. They can be exported as a PDF file. 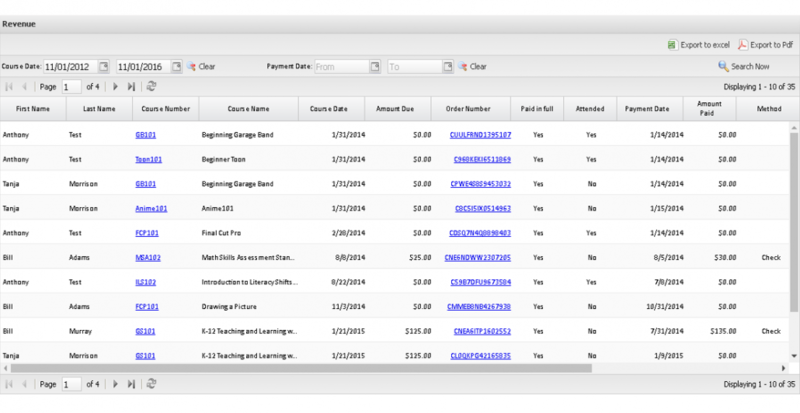 Calculate instructor payment by set fee, per student, or class income percentage. Include course fixed expenses. 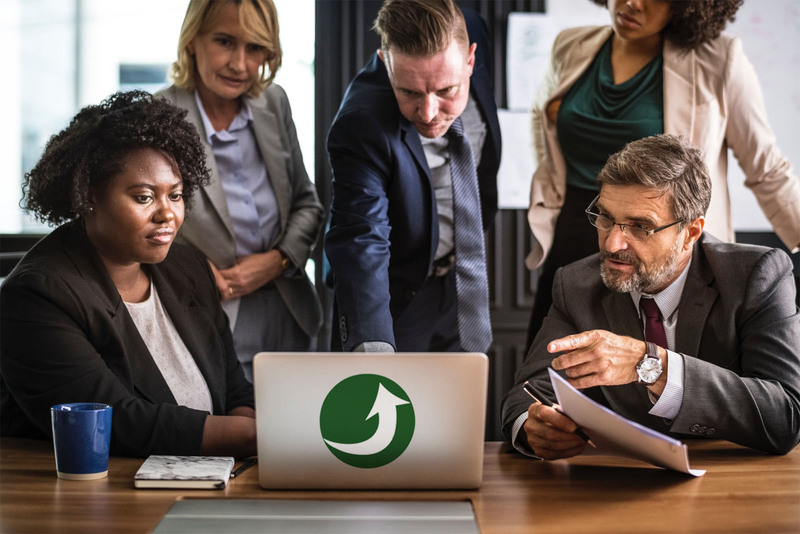 Run a P & L report comparing overhead to class income. 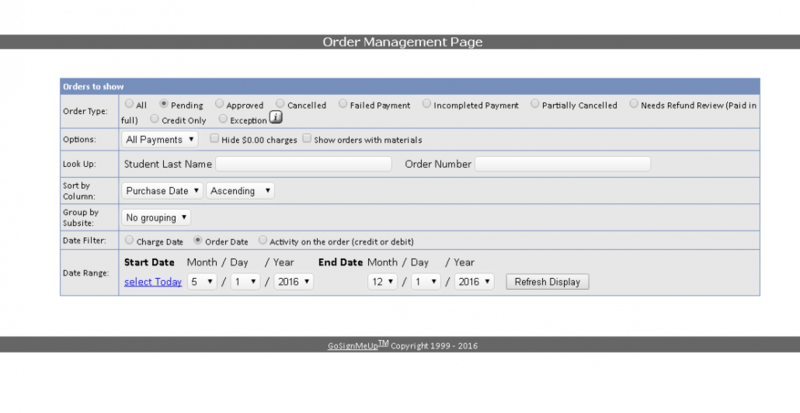 There are 3 different reports that gives you complete reporting on orders, payments, payment status and other related order details. 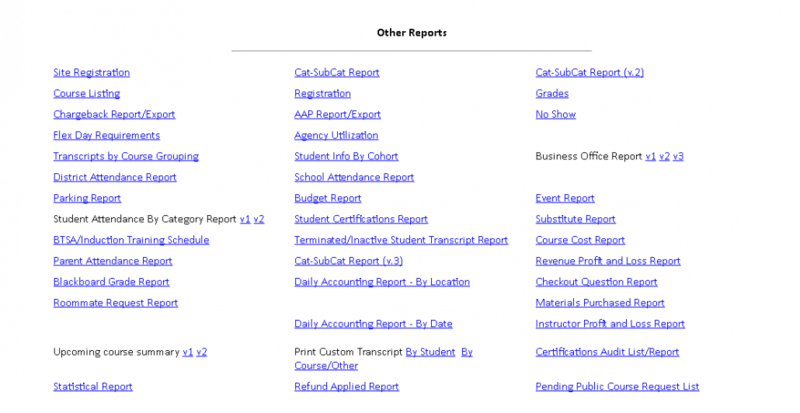 Provides the ability to create a report from scratch using any fields and student account data. 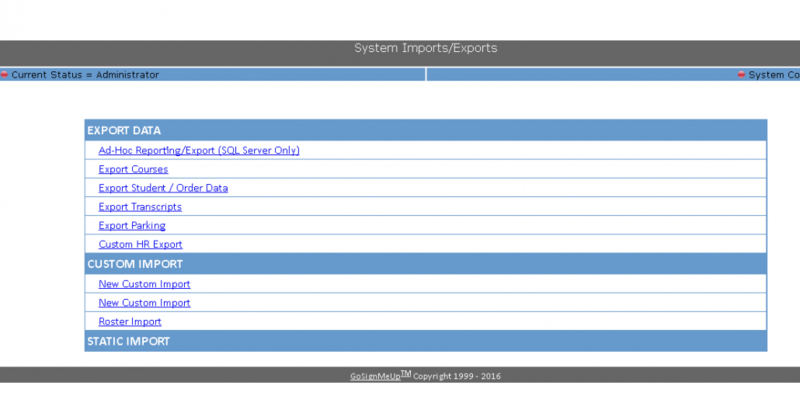 Templates can be made and each report can be exported as a CSV Flat File to be imported into a 3rd party application as well as set to run on a scheduled routine.